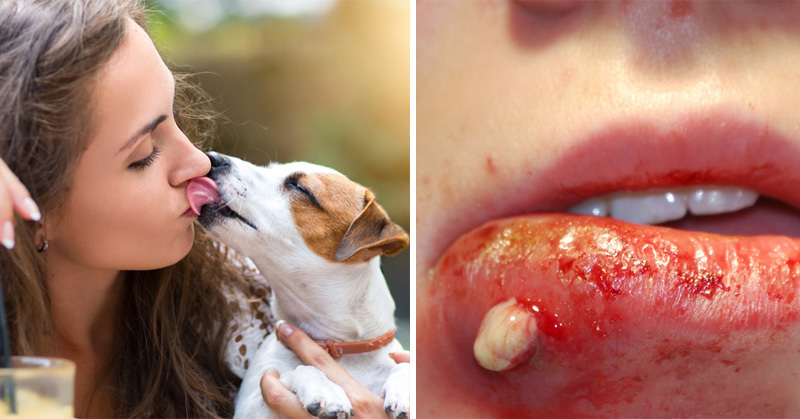 Dogs are adorable -- and dog owners routinely let their faces get licked by their pets. The question is -- should they? Dogs use licks as a form of communication. This is one of the ways they “talk” to other dogs. They also lick to get a whiff of their owner’s unique scents, which some say may be calming for them. Or, dogs lick simply to call their owner’s attention. When dog saliva makes contact with the skin, it generally does not cause problems. But this is only if the owner is healthy. A healthy person’s skin does not readily absorb the saliva and any pathogens that they may contain. However, a problem arises if the owner’s eyes, nose, or mouth gets licked. The mucous membrane of these organs can absorb the saliva, giving way to infection. A dog’s mouth usually has bacteria that can cause disease in humans. These may include salmonella and e.coli, which are usually the cause for intestinal diseases. They can also be transmitted if the dog licks the owner’s hand, which may then make contact with the mouth, nose, or eyes. To prevent this, always wash your hands after playing with the doggie. It is also recommended to not let your dog lick your face. If it can’t be helped, at least make sure to keep your dog in a clean environment where they cannot get into contact with these bacteria. If you can, take your dog to the vet regularly to have them checked for any parasite which can be transmitted to you.